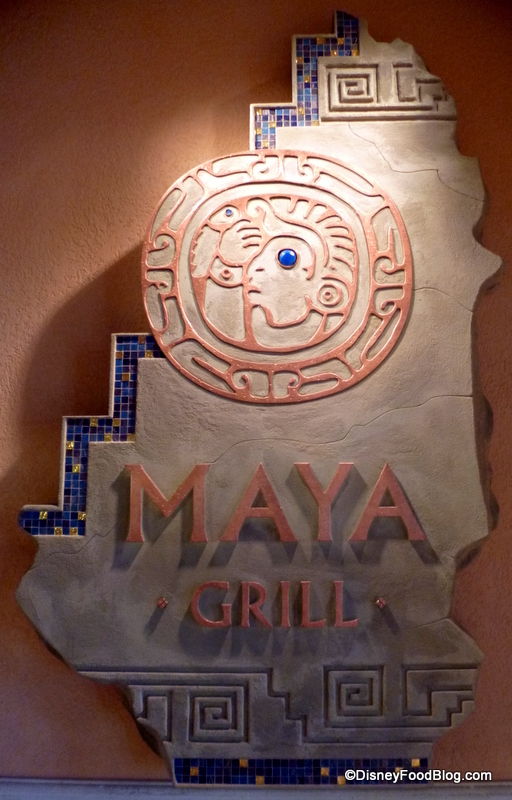 Located in Disney’s Coronado Springs Resort, Maya Grill offers dinner a la carte and celebrates the tastes of “Nuevo Latino.” The decor is reminiscent of a grand Mexican dining room. Keep alert to see many Mayan motifs of fire, sun and water. The menu includes American and Latin American favorites, including steak and seafood cooked in Latin style for dinner. Maya Grill is an “under the radar” restaurant and can usually be visited without a reservation. Stay after your meal to explore Disney’s Coronado Springs Resort — a beautiful representation of different styles of living in the American Southwest and Latin America. Famous Dishes: For dinner, try seafood and poultry cooked Latin and Caribbean style or the sizzling beef fired over an exhibition oak and mesquite grill.